Normcore is here to stay, you know the unisex fashion trend that has taken the last few seasons by storm and dressed even the most fashionable fashionistas and celebs in unpretentious and average-looking clothing so they can distinguish themselves and be unique? !?! 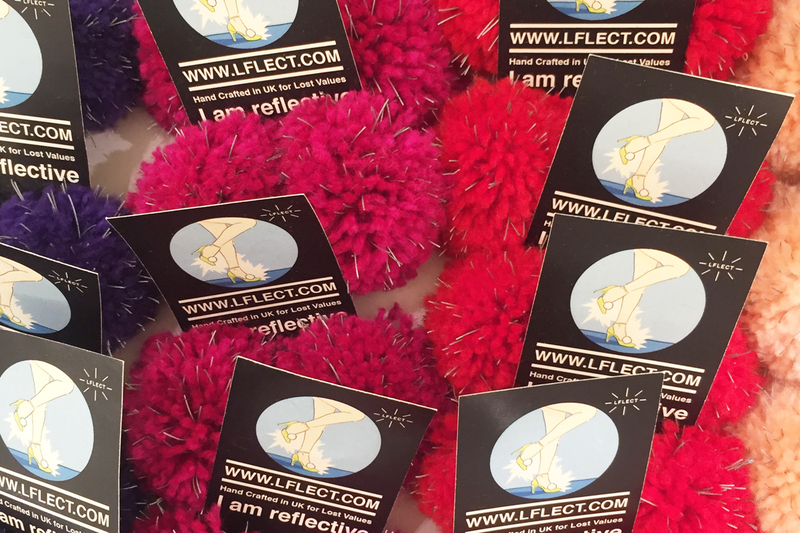 Whether for convenience, laziness, pure comfort or stand-out appeal, it doesn’t seem to be going anywhere fast, and so if like me, you’ve purchased that obligatory pair of white, non-descript, unpretentious pair of ‘tennis shoes’ but are feeling like they could do with a little “dressing up”, then you’re in luck! 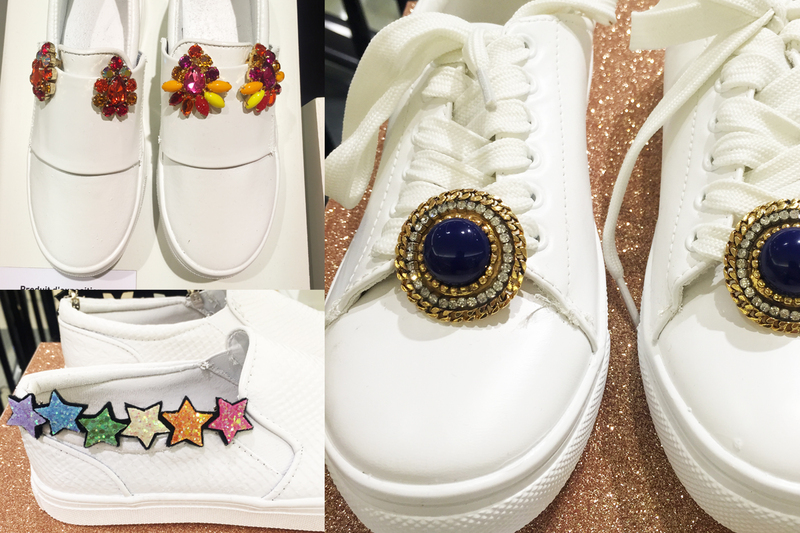 Check out these cute and easy concepts that I spotted at Le Bon Marche – jewels, coloured laces, stars, pom-poms, the list goes on. 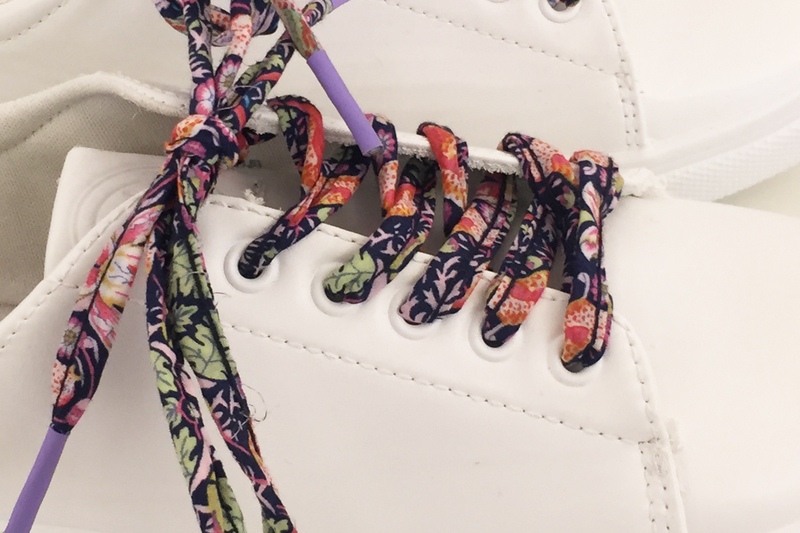 If you haven’t got yourself a pair then perhaps here’s the perfect reason to get them now, you can create a new pair of shoes with an easy accessory! 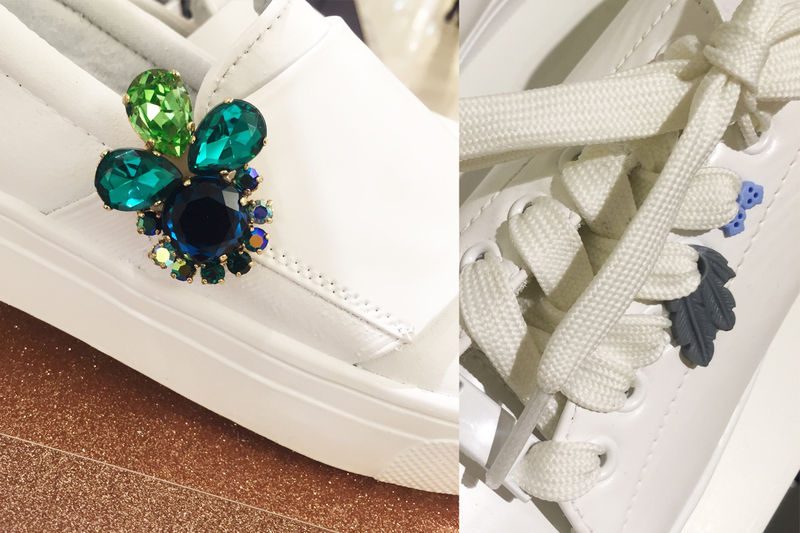 Bling those snow-white sneaks with these ideas, and if you haven’t visited the new shoe department at Le Bon Marche yet then get to it – you won’t be disappointed! 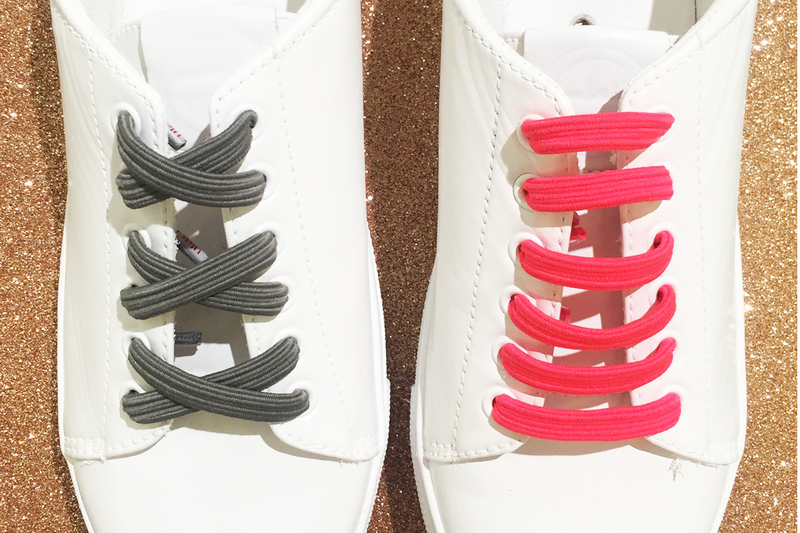 Love love love these sneakers! !